Learn more about the Youth Ministry major at JBU. 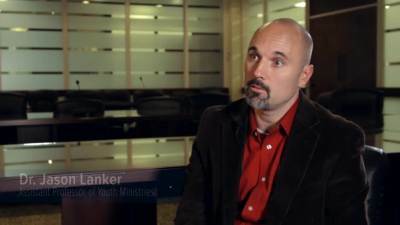 Dr. Jason Lanker: The Youth Ministry Major is someone who has a passion for students and wants to see them viewed as youth, not just adolescence. Greg McKinney: Every bit of tools that I've used here at JBU that are focused on youth or are focused on people and how to love, how to understand, I use on a daily bases. Lauren Hinrichs: Early on in my youth ministry days I just observed at a church. That was really impacting for me to be able to be there consistently and have the things that we've learned in the back of my mind. Dr. Jason Lanker: Classes that we teach in youth ministry begin with discipleship and evangelism. If we're going to be working with students, we're working with what the good news is about. Lauren Hinrichs: I think the classes don't really feel like classes. They just kind of feel like an experience that I have. Greg McKinney: I have had many talks with multiple professors. Like they've been heart talks where they challenge me or they say, "You need to work on this area," or they congratulate me in this way. Dr. Jason Lanker: I want them to come out with a better understanding and love of who God is and I want them to come out with a better understanding and love for the people that God's called them to serve.